Ask UbiQD founder Hunter McDaniel about his mission for his company, and the sky’s the limit: “To power smart cities of the future where the windows of skyscrapers produce their own energy.” In fact, the bright, low toxicity quantum dots McDaniel and his colleagues are producing gives window glass stable optical properties that hold up to high temperatures and moisture exposure. UbiQD has discovered a way to manufacture very bright I-III-IV quantum dots at low cost, using environmentally friendly synthesis that is free of toxic heavy metals or other carcinogenic materials. 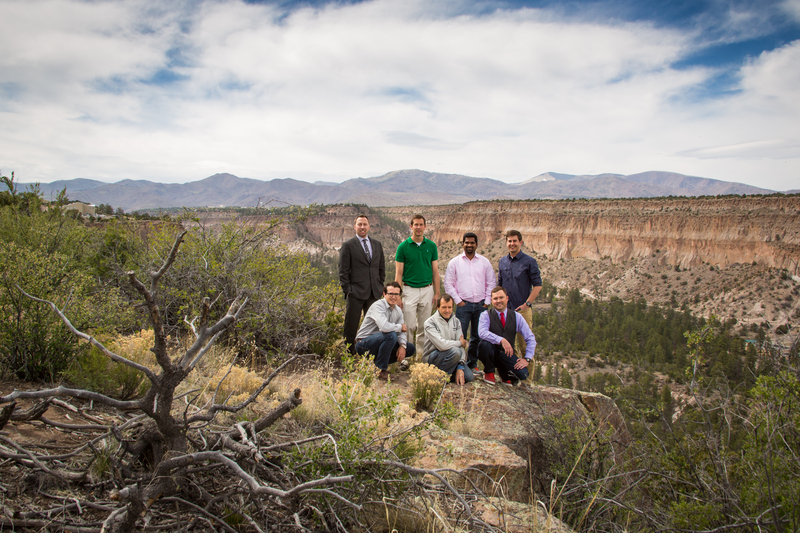 Los Alamos’ high altitude and dry climate provides ideal conditions for reproducible nanomaterial manufacturing. Also, the close proximity to two world class research institutions in LANL and Sandia National Laboratory allows for beneficial scientific collaborations with leading scientists in the area. With plans to expand its team by 20 new hires, UbiQD is engaging in R&D around emerging applications for its technology, with plans to license these technologies to customers. McDaniel returns to his company’s mission statement: “We think these revolutionary new materials can improve lives via applications in energy, security, safety, design, and more.” See the full report here.